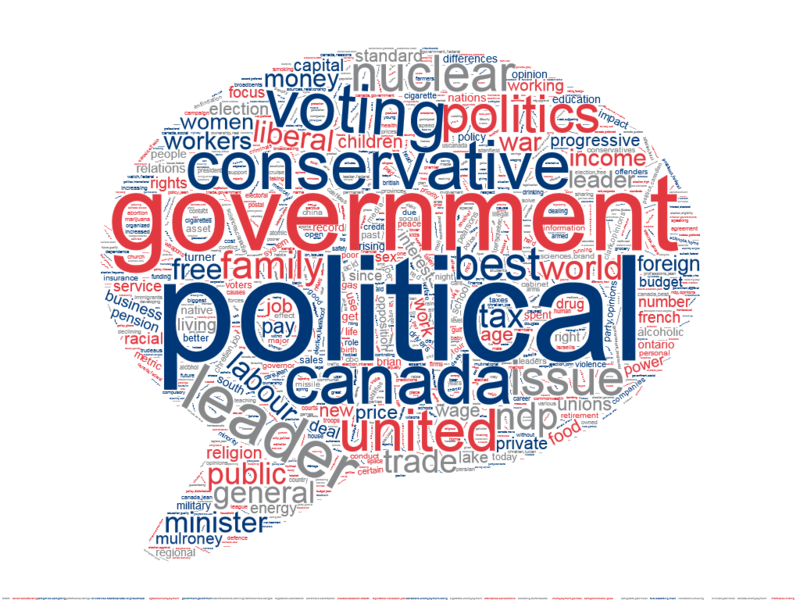 What is the most important issue facing Canadians today? The Public Opinion Polls collection in <odesi> includes over a thousand public opinion polls, or POPs for short. What is a Public Opinion Poll? A POP is a survey of public opinion about social, economic, and political issues. “Public opinion” typically means a commonly held belief about something, usually by a majority of people. “Poll” or “Polling” has roots in voting and recording those votes, but has since evolved to also mean the act of recording people’s opinions on a topic as a pollster asks them a series of questions. One of the first major POPs in Canada was conducted by Gallup on behalf of the Liberal party in the early 1940s to gauge the public’s views on the issue of conscription during World War II. Other major polling firms in Canada, such as Decima Research, Environics, Angus Reid, and Ipsos Canada, have been more active since the 1980s when polling began gaining more influence and a larger audience. if applicable, the margin of error in respect of the data obtained. The question of sampling is important in this context. Obviously, asking an entire population a series of questions, for example all Canadians eligible to vote in the next federal election, could be very difficult to accomplish. This is why a sample of the population is surveyed in order to obtain an approximation of public thought on an issue. It is important that a sample be representative of that population in order to be accurate. In sum, a POP can cover all kinds of topics, but usually deals with contemporary issues and often have a political flavour. These surveys are also a significant tool used by various organizations, and the media, to gauge the public’s opinion and predict or forecast certain outcomes.